It is the most common request and conundrum we hear from firms, tracking referrals. The conundrum is that everyone wants the data, but few provide the information. By now, all members should be aware of the WSG Referral Tracker, the amazingly user-friendly tool WSG provides for tracking member referrals and collaborations. It is reciprocal for the sender and receiver so the referral is visible by both firms. 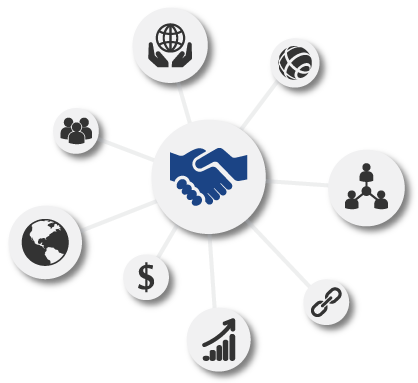 All that is needed is for one side of the referral to input the information and in real-time valuable information is gathered for the firms and network. EASIER SAID THAN DONE. Offer a Different Approach to the Reason for Membership: Consider that WSG allows the firm to have additional quality and trustworthy resources to be able to refer when the firm does not have strong contacts or if there are conflicts which allow you to retain the client. Understanding this better creates interest for the referrer and information for the firm. Viewing referrers as the strategic resource they are, makes it easier to plan a referral strategy and program that becomes the basis for building strong reciprocal relationships. Integrate Personal Networks and Referral Sources: Analyzing referral data can also inform the firm about integrating personal networks which can increase the firm’s presence in specific areas. Integrate Individual Business Development Effort to Marketing Strategies: Referral strategies also enable firms to link individual business development efforts to firm branding and advertising initiatives. As the firm and referrers have a better understanding of the impact referral source decisions have throughout the firm, the increase of reciprocal referrals and client satisfaction will show bottom line growth.